The summer version of the heat protect spray comes with much needed UV protection. The spray ensures hair colour and condition are maintained throughout the summer months – perfect or what? It comes in a super-cool gold bottle topped with a black lid, which will look good in any retail area. 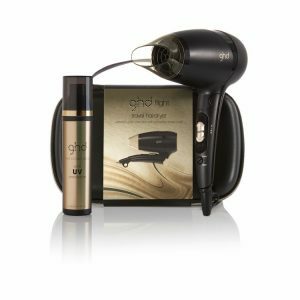 ghd have made sure their unique heat protection and conditioning elements are in the formula including new ingredient Benzophenone-4 which blocks out UV rays before it even touches the hair. 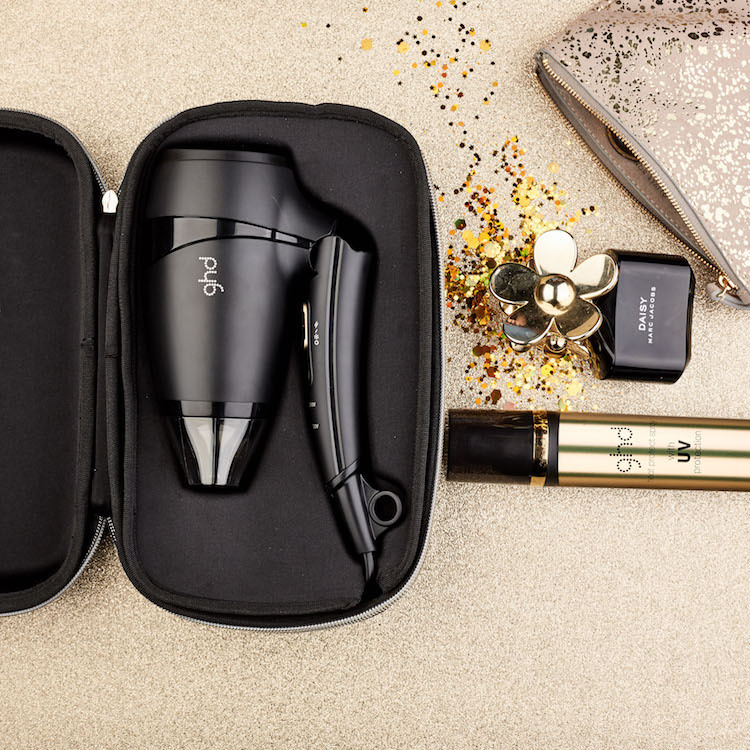 We know your clients will love the ghd flight Saharan gold travel hairdryer as cleverly power hasn’t been compromised for size. It still has a mighty 85% of the power of the ghd flight and a removable nozzle. 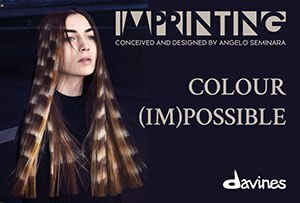 The sleek black hairdryer comes with two speeds so your clients can create the perfect style and look no matter where in the world they’re heading to. Before they go, why not take advantage of beach destinations by teaching them how to do a beachy wave look?